Covers lenses from 14mm - 150mm. Apertures from f/5.6 - f/32. 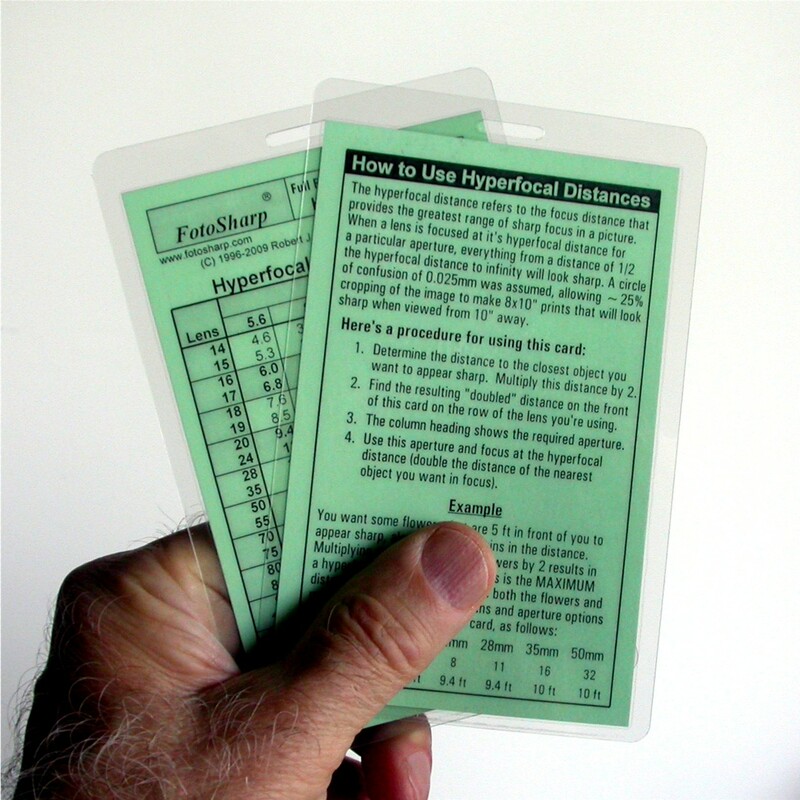 Instructions and examples for using hyperfocal distance info are provided on the card. For more info on depth of field and hyperfocal distance, click here for a Depth of Field Discussion.